An extra van means better support and more serendipity. Backroads is all about following the path wherever it leads. You spend your time enjoying your trip—especially those unscripted moments that make active travel so rewarding—and not lingering somewhere longer than you'd like, waiting for the lone van to show up. Support vans and leaders in two places at once—that's why we have at least a pair of vans on every Backroads trip. 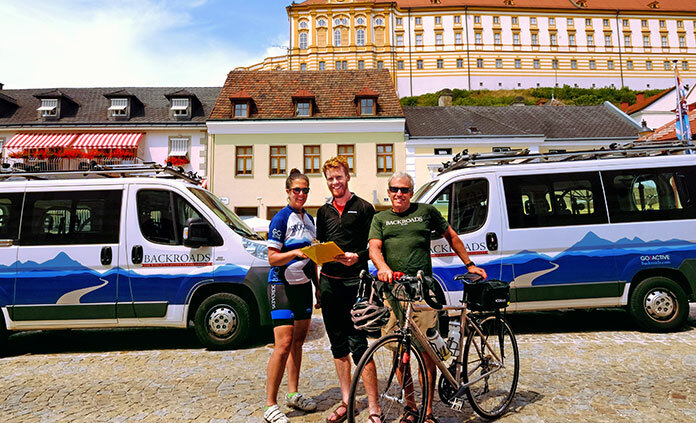 * While one vehicle is staging a grand picnic in a vineyard, the other can be looking after guests who are still biking or walking various routes at their own pace. Throughout the day, you're free to set a tempo that works for you, enjoying as much activity as you like—knowing that if you change your mind, four-wheeled support is never far away. Other companies try to get by with only one van. We know from long experience that's always going to come up short on all by the most intimate-sized trips, unless the entire group is relatively close together and on the same route—which doesn't leave a lot of room for personal choice. Plus, what happens if that single van has to be off running errands or is busy supporting other guests? We make the extra investment in vehicle support to give you optimum flexibility, whether you continue riding or head back to the hotel for a quick plunge in the pool or to check out that cool café you spotted earlier. Cold drinks, for starters, and plenty of snacks. Extra maps in case you've left yours behind. Bike tools and spares. Sunscreen, band-aids. A bit of coaching on technique, if you want it—plus free moral support. And, of course, a comfortable seat if you'd like a lift, whether to the top of the next hill, the nearest village with a shady square or all the way back to home base, where there's a lounge chair by the pool with your name on it. Whatever kind of support you're looking for, your Trip Leaders—all three or four of them*— have got the wheels they need to deliver it. 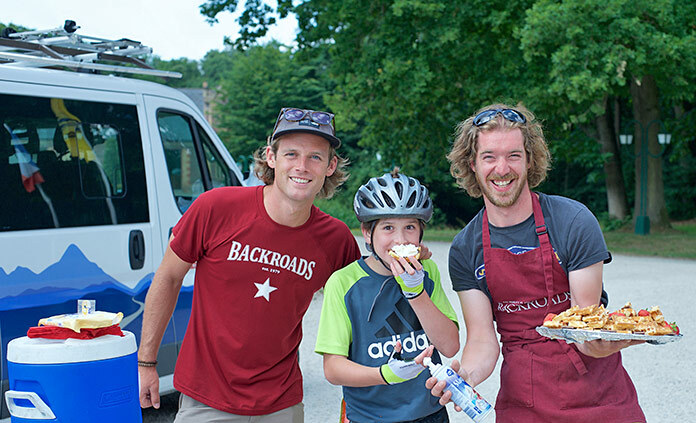 * Over 95% of Backroads guests on scheduled trips travel with three Backroads trip leaders or support staff, and two or more vehicles. We even add a fourth leader for meet and move days on some of our most logistically complex trips with the most guests to ensure everyone enjoys the best possible support. On less than 5% of scheduled trips, the number of guests is small enough that we can maintain our trademark high service standards with just two leaders and one van.